I'm an avid reader of my local Yelp pages because I'm constantly looking for places to try out or to know where to avoid in this case. It's a screen cap in case it gets taken down at some point. 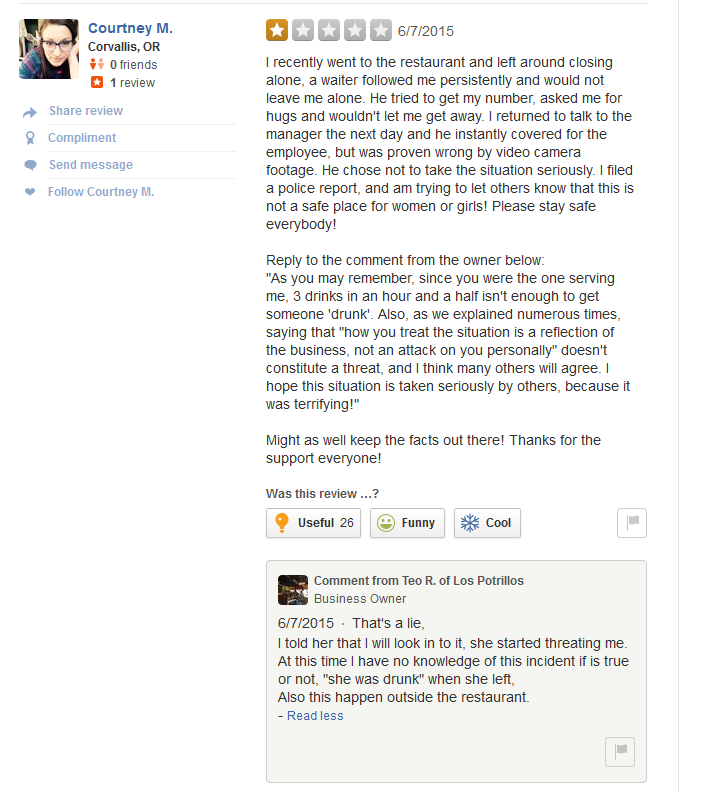 So now the Yelp page has turned into people leaving negative reviews given the situation. Hint to business owners, word of mouth is like wild fire when your business is locally driven like a restaurant. Try taking people's complaints more seriously and exercising better judgement!